Advertising books is somewhat different from advertising for other products that you watch on television, hear on the radio, see in magazines, or find on billboards, for example. For one, if you’re advertising paper towels, there are only a few competitors, but if you’re selling a book, there are millions of other books to choose from, and hundreds or thousands similar to yours. Secondly, the royalty you receive from selling one book pales in comparison to the profit from selling one car or from selling a year’s supply of toilet paper. Therefore, you must approach advertising somewhat differently. You can’t just pour thousands of dollars into advertising, expecting it to provide a return on your investment. Short-term returns on paid book advertisements often yield losses of 40% or more. There can be long-term gains, but it depends on various factors. However, you can do loads of free marketing, and many free marketing strategies do pay long-term dividends without needing financial investment. When free marketing is combined with paid advertising, it helps to minimize risk. Series. If you write a series, you have an advertising advantage. The average customer who buys the first book as a result of the ad will buy multiple books. Advertising the first book in the series has good potential. Similar books. If you have multiple similar books, you have the potential to sell multiple books to the same customer. Future books. Every sale of your current book has the potential to improve your readership, and some of your fan base will buy your next book. Branding. Most companies that invest large sums of money on advertising aren’t counting on short-term gains. They expect short-term loss, but hope to achieve long-term gains through branding. You want to create a brand for your book cover, author photo, author name, series name, or protagonist, for example. The idea is that customers are more likely to buy a product that they recognize, so you have to repeatedly show your product to the customer before it’s recognized in a future shopping experience. It can take months or years for this to take effect. Cover. The visual element of your cover has to send a clear signal about the genre or subject. If not, many customers won’t pay attention to the ad, and others will click on it expecting something other than what it is. These are wasted impressions and clicks. Product page. The blurb, Look Inside, author photo, author bio, reviews, and anything else on your product page can make or break the deal. The more these effectively sell your book, the more advertising can help supplement these sales. Content. Content is king. If you have such wonderful content that it makes the reader want more books and to recommend your book to others, it can do wonders for long-term sales. Targeting. You want to show your book to your specific target audience to get the most out of your ad. If the targeting is poor, advertising money is squandered. Advertising books with AMS, Bookbub, E-N-T, Goodreads, Facebook, Twitter, and More. Advertising on Amazon with AMS via KDP Research Experience & Tips. KDP Select authors can now advertise their books on Amazon. How do you assess whether or not your KDP ad campaign is working well? 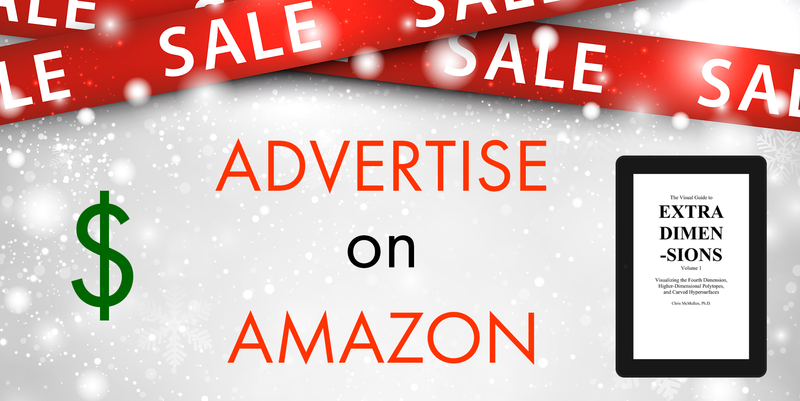 Wondering where and how your ad displays on Amazon? The smallest of the three ads shows up under the buy now button on the Kindle page. The middle-sized ad shows up under the buy now button on a print book product page. The largest ad shows up in the reviews section, but this zone is harder to reach and doesn’t always display an ad. How do you target your KDP ad with Amazon Marketing Services? KDP ad campaigns let you track views at Amazon. In particular, take your sales and divide by your clicks, then multiply by 100%. If this figure is in the 5 to 10% range, your product page is pretty good at selling your book. If this figure is 1% or less, it suggests that (A) you could improve your cover, blurb, or Look Inside, (B) you could have targeted your ad better, or (C) your book idea isn’t too marketable. Be sensible with your advertising. How much can you afford to bid for the cost-per-click (CPC)? Why was your KDP AMS ad stopped? Learn more about marketing books through paid advertisements. Here are some paid advertising options. It’s important to run a cost-benefit analysis for advertising books. How much can you afford to spend on book advertising? Authors who understand sales psychology have an advantage. Book marketing isn’t the same as commercial marketing. One of the key factors in both free book marketing and paid advertising is branding. People tend to buy products they’ve heard of before. Thus, you need your author name, book cover, series title, author photo, etc. to become branded. You need your target audience to see and hear these in an unobtrusive way multiple times over a period of months. That way, the next time they’re shopping for a book, there’s a chance that they will recognize your book. Another thing that authors can brand is some distinguishing characteristic. For example, Sir Arthur Conan Doyle effectively branded the quality of his famous protagonist, Sherlock Holmes. Free and low-cost book marketing strategies, especially those involving personal interaction with the author, can be highly effective when done right. These book marketing strategies often improve the effectiveness of paid advertising. For authors, bookmarks are better than business cards. Contests and giveaways can help with exposure. Review copies can help build buzz and earn early book reviews. Here are some tips for creating publicity for your book. Firstly I have a number of books which aren’t suitable for Kindle but which I just have a print copy available through createspace. Presently all my other books I advertise through AMS and find it to be very successful. The problem is that it hasn’t been possible to advertise print only books on AMS. However I am told that it is now possible to run an AMS advert if the book is printed through KDP paperback. Is there any truth in that? I have no KDP paperbacks presently. Secondly I have read that AMS only advertises in the USA and not the UK. Is this true? My adverts certainly seem more successful in the USA but am I missing out on a whole market. We share a similar predicament. AMS via KDP is currently limited to Amazon’s US site. I haven’t been brave enough to approve a paperback with KDP because I draw a significant Expanded Distribution channel that’s currently not available with KDP. However, in a week or two, I will try one under a pen name that wouldn’t likely benefit from Expanded Distribution, then I’ll know for sure. If so, it would be tempting to move some of my titles over to KDP. I can’t really think why AMS should only be seen in the US. Presumably it is a technical problem which generally means it will change in due course. The very good news is that there is a whole market that I have perhaps just been relying on my key words to advertise the book without realising it. I may try some facebook advertising in the UK and see what effect that has which I haven’t tried yet but is on my tever expanding to do list. Any ideas for alternatives. I have a book coming out this week and am only waiting for the cover to be completed. I will put it on KDP paperback and report back if you wish. KDP Select is an example of a program that was first tested in the US, and then expanded to the UK. AMS has been available to KDP authors for a long while, but still hasn’t expanded to other markets. It’s odd: It seems like it would easily add to Amazon’s profits. AMS is available in other markets, just not through KDP yet, so maybe. I’ve advertised with Goodreads, Google, Facebook, and Twitter, for example, but Amazon has the advantage that customers are already shopping, so our ads aren’t interrupting whatever they’re doing and asking them to read a book instead. I just put in a query to KDP help. I’ll see what they say, though nothing is as reliable as seeing it firsthand. No idea who the bloke is. Well I have a paperback running on the KDP AMS platform, so it is possible. One thing I noticed is that the royalty is considerably less on KDP paperback than createspace. The difference on royalty on one book of mine priced at £3.99 is between £1.41 for createspace and £0.64 for KDP. Ignore the previous nonsense about costs. What KDP have is a minimum cost of £1.70 for books up to 108 pages whereas Createspace charge £0.70 for UK books. The costs are the same for US printed books.